Morning friends! 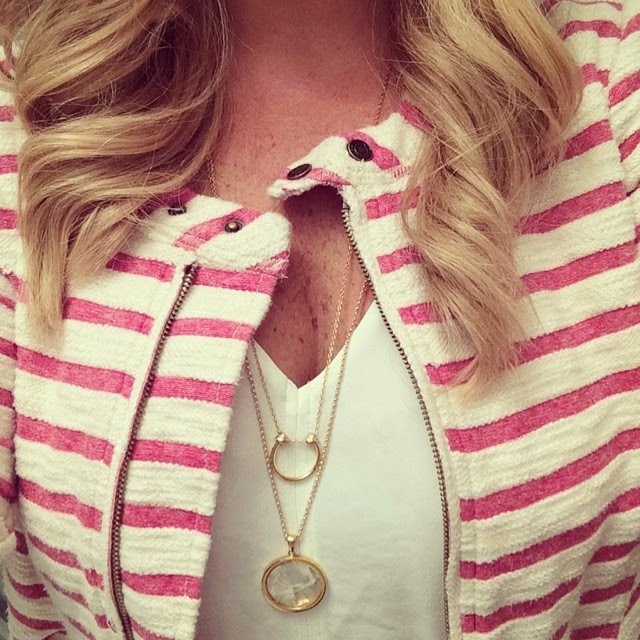 You may have recall previous posts about layering statement necklaces here & here, but today I want to leave the bold baubles behind and talk about the lighter more dainty version of the layered look. Wearing multiple necklaces at once, finding the perfect blend of lengths and coordination of metals can be a bit of a challenge. Don't even get me started on the tangling repercussions of all of the above. So when I started noticing brands were making the layered look simple with styles that have it all done for you all in one clasp, I was sold. I did a little round up of my favorites below and I am happy to report these are all super affordable under $100!